It’s all going well at the moment- lovely time of year, grappling with space and just letting stuff grow where it comes up. I do have pumpkins coming up in the front lawn, which I will leave- if I get some I get some. 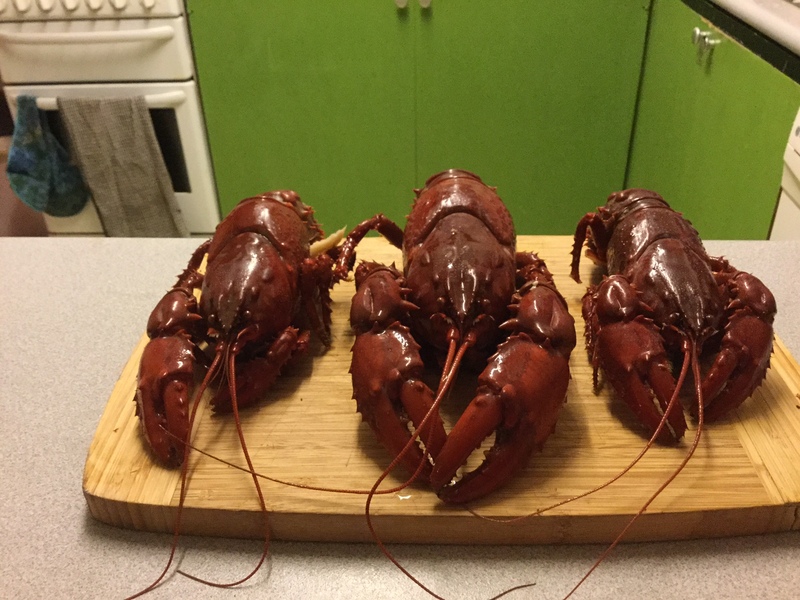 I have had a realisation lately and it started with a childhood passion- catching freshwater crayfish. I love them; we always fished for them but never once did we kill any of them. Now some 25 years later I have caught some and eaten them, in the guise of sustainable eating. The realisation is that we cannot afford for all of us to do this. Our massive population and small creeks just don’t add up, I for one am a huge advocate for people eating and connecting with the landscape, but that period has gone I think. The natural environment has declined with diversity and the amount of animals; many are confined to small areas. Can we form a value just by looking at it, I have always held the belief that people need to have a use, value, purpose for an item to form a real value of it. Whilst I sit down and eat my crayfish, I am still in two minds whether this is a good thing or not. It’s the burden of a conscious sustainable mind. 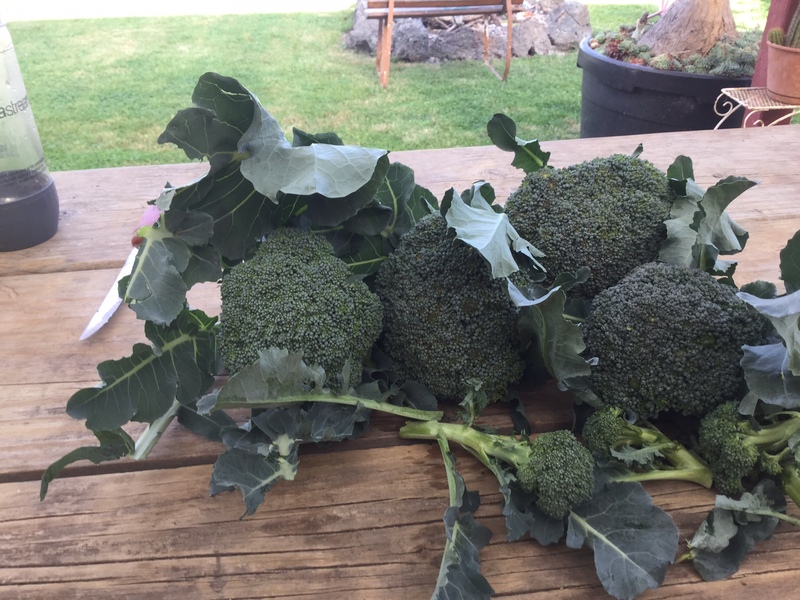 I had planted two lots of late broc and that has paid dividends. 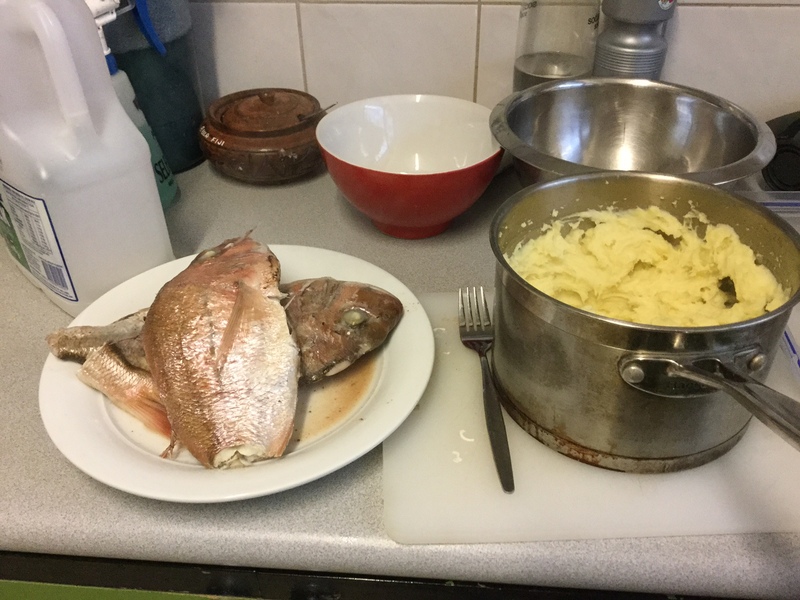 Here are some fish cakes that I made from my snapper effort earlier in another post. I have a huge burden of waste- each time I open up the fridge door I see fresh food, slowly diminishing, it’s like a urgent bell that keep go ing, each meal i look at what i have got and get a piece of whatever I have and form that part of the next meal. It works again with the freezer- what have I got in there. We usually have a list of ingredients, but I think I should transfer this over to meals. Everything is slowly losing goodness and given I don’t want to waste anything. Its becomes, part of the conveyor belt towards the dinner table. I have back up plans- it’s called Chooks to convert that leftovers to protein, in the form of eggs or chicken meat. Compost- that will in turn return fresh fruit. I don’t tend to put compost on the veggie garden as there is usually not that much of it. Small amounts however can be concentrated around the base of the fruit trees that will return it back as fruit that I can either eat now or preserve. All food items that enter the property have a shelf life and if we all lived like this, i think wastage could be cut down quite a bit. I think it’s a systems approach to Living.